Patricia Smith, an alumna and former faculty member in the University of Southern Maine’s Stonecoast MFA in Creative Writing, has won one of poetry’s most prestigious and financially rewarding prizes. The honor is the Kingsley Tufts Poetry Award at Claremont Graduate University. It’s accompanied by a $100,000 prize. 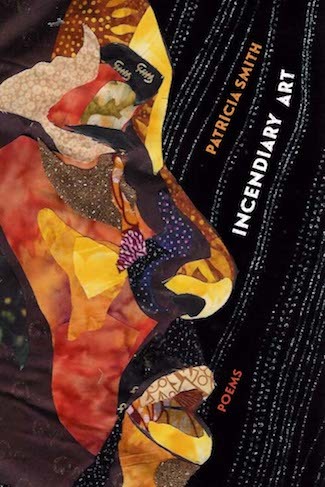 Smith earned the prize — only the latest in a long list of accolades — for her eighth book, “Incendiary Art.” The collection of poems combines prose poems, ghazals, sestinas and sonnets around a theme of racial prejudice. Smith graduated from USM with her creative writing MFA in 2008. "Patricia Smith was a rock star when she arrived at Stonecoast,” said Justin Tussing, the program’s director. “We’re so pleased that the rest of the world is discovering her thrilling work." In 2014, Smith was awarded the Rebekah Johnson Bobbitt National Prize for Poetry for her book "Shoulda Been Jimi Savannah." Other accolades include the Lenore Marshall Prize from the Academy of American Poets, two Pushcart prizes, a Guggenheim fellow, a Civitellian and a grant from the National Endowment for the Arts. Smith is a professor at the College of Staten Island and in the MFA program at Sierra Nevada College, as well as an instructor at the annual VONA residency and in the Vermont College of Fine Arts Post-Graduate Residency Program. The Portland Press Herald published its own story about the award on Feb. 27.